We would like to attend the Wally Gilbert Invitational as a team this year. It will be a one day trip to Lynchburg College. The team will depart Marshall High School on Saturday, December 10th, 2011 at 5:00AM, arrive at 8:00AM, compete from 9:00AM to 4:30PM and return to school at 9:00PM. The cost for the trip is $40.00 per athlete and we are looking to have 50 athletes attend the meet. The $40.00 will cover the cost of the charter bus and the meet entries. We will announce the athletes selected after the Dec. 3rd track and field meet. 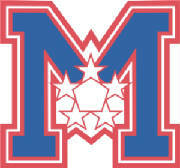 Once you’re selected, payment for the meet will be due on Monday, December 5th, 2011 – check payable to Marshall Boosters. Attached is a field trip form. If, you are interested in attending the meet - please return the form to me by Wednesday, November 16th, 2011. If, we do not have enough commitment – we need to cancel the bus and the trip. This will be our only out of town meet for the season and the other option we have that week is a polar bear meet (i.e. we compete outside at Centerville HS) or no competition for that week (I really would like to avoid this option).